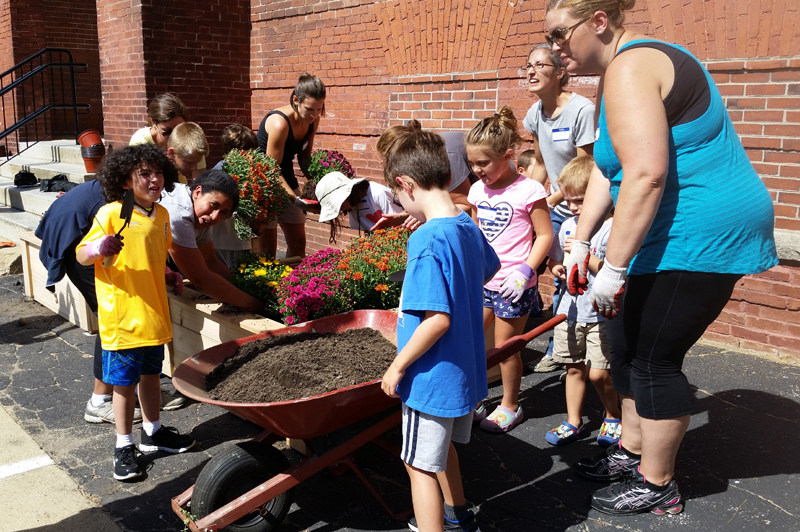 ‘Small Projects – Big Impact’ allows us to connect with and support other people and organizations that are doing great things in Haverhill. Team Haverhill’s ‘Small Projects – Big Impact’ initiative supports a few small community projects each year that make a positive impact in our city. We listen, make a plan, donate a little bit of volunteer time (usually one day) and a little bit of money ($300 or less) and work with you to make Haverhill a better place to live, learn, work and play. Contact us and let us know what you think we can make happen together! Haverhill Downtown Boxing Club – Boxing equipment/membership to USA Boxing in order to compete. 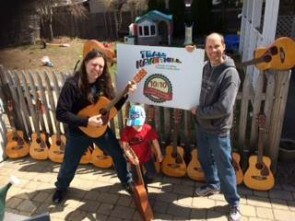 Guitars for Elementary and Middle Schools – Refurbish guitars for school music programs. Today’s Readers-Tomorrow’s Leaders – City leaders read their favorite book to 1st graders at Tilton School. Books donated to Haverhill Public Library. Hilldale Cemetery – Buy and install cemetery sign. Winnekenni Basin – Extensive cleaning of debris, invasive species of vines, brush and dead trees. Rocks Village Hand Tub House – Landscaping to help eradicate invasive species along the river’s public space. Emmaus Commons – Deep spring cleanup and beautification. Walnut Square Elementary School – Installed six raised garden beds. East Parish Meeting House – Landscaping and beautification. Place Your Face Haverhill – Create a portable, free-standing custom wooden prop for events. 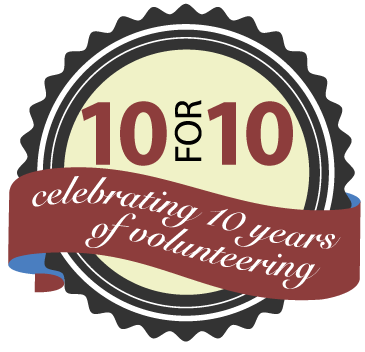 Team Haverhill’s ‘Small Projects – Big Impact’ initiative began in 2015 as a way to celebrate the 10th anniversary of Team Haverhill and ten years of volunteering in the city! 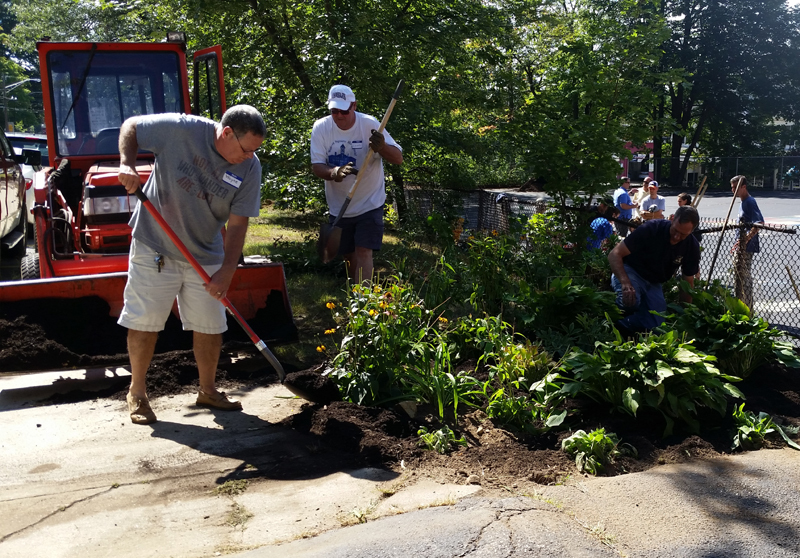 It was called “10 for 10” and we partnered with ten groups doing great things in Haverhill. We met new people and had a wonderful time helping to make small projects happen. Each project was less than a day and $150. Since then, the program has grown and continues to be an important part of Team Haverhill’s volunteer work in the city. Check back soon for more information on our projects, including ways you can volunteer to help!